Jacobs, Peter. Lancaster Story (Military). Birch, Neville H. Radio Navigation for Pilots. Geraghty, Tony. Who Dares Wins: The Story of the Special Air Service 1950-1980: History of the Special Air Service. Cooper, Bryan. The story of the bomber 1914-1945. From Bleriot to Spitfire: Flying the Historic Aeroplanes of the Shuttleworth Collection. From Stuka Pilot to Aircraft Structures, from	Wings For You to A Flying Fighter, we can help you find the aviation books you are looking for. As the world's largest independent marketplace for new, used and rare books, you always get the best in service and value when you buy from Biblio.com, and all of your purchases are backed by our return guarantee. The invisible secret of all heavier-than-air flight: the Angle of Attack. What it is, and why it can't be seen. How lift is made, and what the pilot has to do with it. Why airplanes stall How do you know you're about to stall? The landing approach. How the pilot's eye functions in judging the approach. The visual clues by which an experienced pilot unconsciously judges: how you can quickly learn to use them. The Spot that does not move. This is the first statement of this phenomenon. A foolproof method of making a landing approach across pole lines and trees. The elevator and the throttle. One controls the speed, the other controls climb and descent. Which is which? The paradox of the glide. By pointing the nose down less steeply, you descend more steeply. By pointing the nose down more steeply, you can glide further. What's the rudder for? The rudder does NOT turn the airplane the way a boat's rudder turns the boat. Then what does it do? How a turn is flown. The role of ailerons, rudder, and elevator in making a turn. The landing--how it's made. The visual clues that tell you where the ground is. The tail-dragger landing gear and what's tricky about it. This is probably the only analysis of tail-draggers now available to those who want to fly one. The tricycle landing gear and what's so good about it. A strong advocacy of the tricycle gear written at a time when almost all civil airplanes were taildraggers. Why the airplane doesn't feel the wind. Why the airplane usually flies a little sidewise. 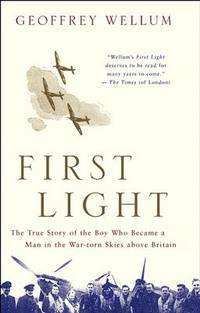 Plus: a chapter on Air Accidents by Leighton Collins, founder and editor of AIR FACTS. His analyses of aviation's safety problems have deeply influenced pilots and aeronautical engineers and have contributed to the benign characteristics of today's airplane. 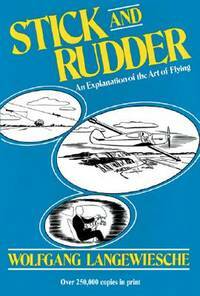 Stick and Rudder is the first exact analysis of the art of flying ever attempted. It has been continously in print for thirty-three years. It shows precisely what the pilot does when he flies, just how he does it, and why. 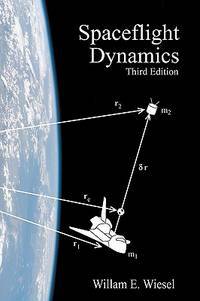 Because the basics are largely unchanging, the book therefore is applicable to large airplanes and small, old airplanes and new, and is of interest not only to the learner but also to the accomplished pilot and to the instructor himself. When Stick and Rudder first came out, some of its contents were considered highly controversial. In recent years its formulations have become widely accepted. Pilots and flight instructors have found that the book works. Today several excellent manuals offer the pilot accurate and valuable technical information. But Stick and Rudder remains the leading think-book on the art of flying. One thorough reading of it is the equivalent of many hours of practice. Few American icons provoke more enduring fascination than Charles Lindbergh—renowned for his one-man transatlantic flight in 1927, remembered for the sorrow surrounding the kidnapping and death of his firstborn son in 1932, and reviled by many for his opposition to America's entry into World War II. 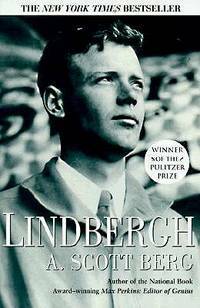 Lindbergh's is "a dramatic and disturbing American story," says the Los Angeles Times Book Review , and this biography—the first to be written with unrestricted access to the Lindbergh archives and extensive interviews of his friends, colleagues, and close family members—is "the definitive account." In 1945, a sightseeing trip over "Shangri-La" turned deadly when the plane crashed, leaving only three survivors who, battling for their survival, were caught between man-eating headhunters and the enemy Japanese, in this real-life adventure drawn from personal interviews, declassified Army documents and personal photos and mementos. There can be few operations of war as causeless, as purposeless, and as brutal as the attack on Dresden during the night of February 13th, 1945. SKUNK WORKS is the true story, told for the first time, of America's most secret and successful aerospace operation. As recounted by Ben Rich, the operation's brilliant boss for nearly two decades, the story of Lockheed's legendary Skunk Works is a high-stakes drama of Cold War confrontations and Gulf War air combat, of extraordinary feats of engineering and human achievement against fantastic odds. SKUNK WORKS is dramatic and immediate. Direct from the cockpits of these astonishing aircraft - U-2 spy-plane, SR-71 Blackbird and F-117 Stealth Fighter. It is a tribute to genius in the unrelenting contest for mastery of the skies. First Light is the name of several items. Several albums carry the name: First Light (Wishbone Ash album), a previously unreleased album by rock group Wishbone Ash First Light (album), an unrelated album by folk artist Richard Thompson First Light (Freddie Hubbard album) It can also be used to identify: First Light (Preston book), a nonfiction book on astronomy by Richard Preston First Light (Wellum book), a memoir by Geoffrey Wellum. On July 15, 1942, a squadron of six P-38 Lightnings and two B-17 Flying Fortress bombers was flying from Greenland to Iceland when they ran head-on into an Arctic blizzard. As conditions deteriorated they decided to turn back, only to then discover that the base there [Greenland] was socked in. Running desperately low on fuel the two bombers and six fighter planes crash-landed on the ice cap in the largest forced landing in history. The crews had been rescued but their brand-new warplanes were left on the ice cap. Pat Epps and Richard Taylor heard the story in August 1980. For the next twelve years, this story would lead Epps and Taylor into an extraordinary adventure that would prove more challenging then either of them would have dreamed possible. The planes lay 260 ft down, under the ice, the equivalent of a 25 story building. And no machine in existence was capable of digging hundreds of feet into solid ice to retrieve a ten-ton airplane with a fifty-two foot wingspan. Here, the story is grippingly told and lavishly illustrated with hundreds of fascinating photographs, paintings and diagrams.